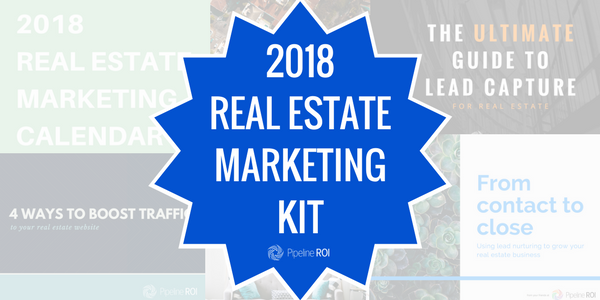 Make 2018 the year you step up your real estate marketing game! We're helping you get started with this free marketing kit. You'll get eBooks, royalty free images, a marketing calendar, and more. You'll get tons of ideas and advice on generating leads, nurturing them into actual clients, and ultimately growing your business. Looking for better marketing tools? Pipeline ROI is an inbound marketing platform for real estate pros that helps you generate, nurture, and close more leads faster. It includes everything from a beautiful mobile responsive website to lead management, social marketing tools, and more. Click here to learn more and get a free demo.